With the operationalization of a 16-km stretch of Hyderabad Metro Rail between Ameerpet and L B Nagar in September this year, Hyderabad Metro Rail is covering 46 km and has become India’s second largest Metro Rail network, next only to Delhi. Reddy said the Hyderabad Metro Rail project has been adjudged the ‘Best Urban Mass Transit Project’ by the Centre and the award of Excellence was presented to him and L&T Metro Rail (Hyderabad) Limited MD K V B Reddy jointly during the Urban Mobility India Conference held in Nagpur on November 4. 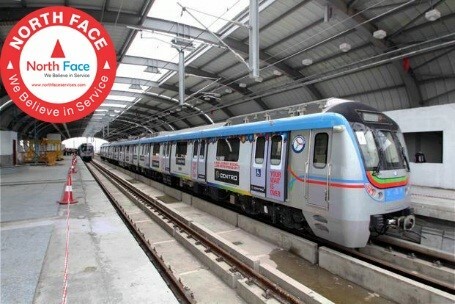 The Housing and Urban Affairs Ministry has appreciated the “unique” features of Hyderabad Metro project and said it was an outstanding project with lot of engineering and financial innovations, according to N V S Reddy. This entry was posted in News on December 17, 2018 by Venkat Chunduru.